Thank you for agreeing to be our wedding planners for our wedding on the 22nd August 2015 in Sorrento, Italy. To say we are delighted that we asked you to be our wedding planner is an understatement as you went over and above our expectations. When we first went over to Sorrento in December 2014 searching for a church and reception to have our wedding in August 2015 we really didn’t know where to start. Sorrento Sunland were kind enough to meet with us in person and provide us with all the information we needed to make a decision on a church and the reception. Although we did decide to organise other services ourselves Sorrento Sunland were happy to accommodate the co-ordination of these on the wedding day. After the church we decided to get a boat back to Sorrento and the guests loved the way you gave us some information on the sights. Organising the bus from the boat to the reception was done seamlessly. We went to the foreigners club for our reception and it was exceptional. The wedding party ate, drank and danced until the early hours of the morning. The waiters were very polite and checked in with us when we wanted each course to be served. It was such a relaxed atmosphere and we are glad we had the BBQ the next day at the same venue. Without Sorrento Sunland we would not have found this treasure. My guests are still talking about the fabulous time in Sorrento and how well the wedding was organised. 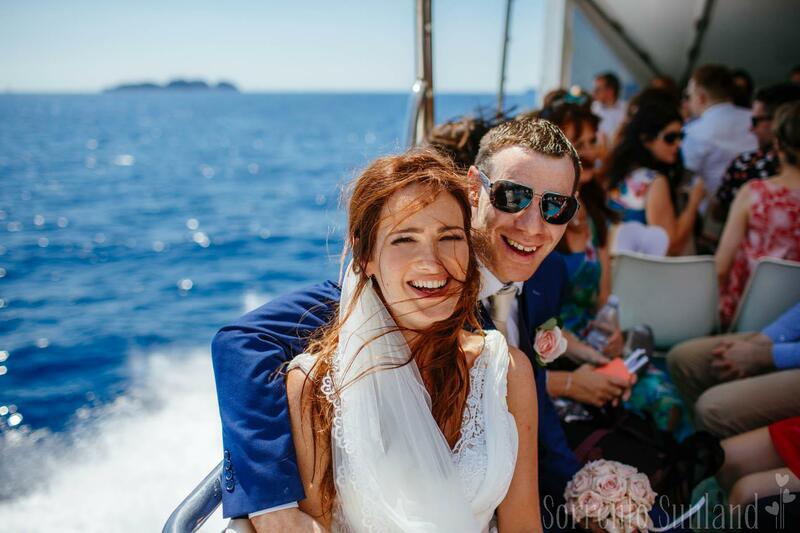 It was a pleasure working with you and for anybody thinking of getting married in Sorrento using Sorrento Sunland is the only way it can be done.